Since Jason started the over rated games thread, I thought it would be fun to see what everyone thinks are the most under-rated games. The one that I can think of right now is Viewtiful Joe for gamecube. I haven't played it all the way through but it's pretty fun. Not sure if it counts actually since it got good reviews, but it doesn't seem to be too popular. Double Dragon 4 for SNES...best of the series I think. tribes 2. that game was probably the second best officemate vs office mates game ive played. of course quake 3 ownz joo all but is not underrated..
command and conquer Generals. this game is a stellar rts which kept me from doing things i was supposed to be doing to the point where I literally had to break the cd. SmashTV....this game...ooohweee....big money big prizes...IIIIIIIIIIIIIIIIIIIIIII..LOVE IT! of course I am dating myself with this one. this game is a stellar rts which kept me from doing things i was supposed to be doing to the point where I literally had to break the cd. 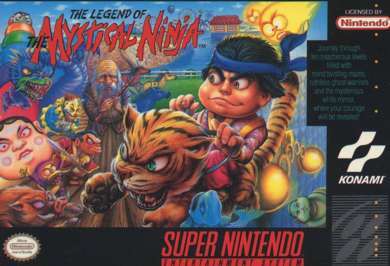 There was a game for SNES called Legend of the Mystical Ninja. Really fun, cool gameplay (i'm still a sucker for side scrollers), 2 player coop, a good dose of Japanese wackiness, and even mini games when you went inside the arcade on some levels. -Valkyrie Profile- A very underrated RPG for PS1 by Enix. Great sprite animation, gameplay, characters, story, music, and extremely challenging battles. and ill back up jason on the tribes, tho i was more of a tribes1 fan..tribes 2 literally killed me and my buddys computers when we got that game...straight up ganked it...so i was a bit put off by that..
oh, and i dunno if its underrated or not, but samurai showdown 2...one of THE best fighting games EVAR! Josh >> Devil May Cry 1, no other game I've seen has done what they did with 3d gameplay like that. And the entire Phantom fire scorpion battle in the church room, and the hallway chase, and especially the shadow cat battles on hard level, thats great stuff. skank - superbomberman was funtastic! River City Ransom....and the World Cup Soccer that had the dudes that looked the same as the River City Ransom guys....both for NES....both more fun than...other fun games! ooh, almost forgot....True Lies for SNES....that one was awesome as well! the Mark of Kri and Legend of Legaia. They have a following but are still underrated. Return Fire was totally awesome too. Last edited by WillSchnevel; July 14th, 2004 at 10:18 PM. If you like smashtv, you should check out a game called Crimsonland . Mad fun, especially survival mode. I gaurantee you you'll buy it after you play the free trial. SNAKE RATTLE AND ROLL!! YEAH! www.the-underdogs.org is a goldmine for...well, underdogs. One of my fave. game sites, with alot of downloadable oldgames. ADOM is underrated, imho the best game. EVER. 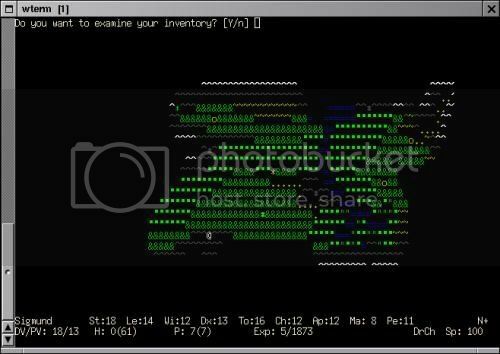 I love ascii. Try www.adom.de for free a download. I don't even know if anyone even remembers it, but god is the game fun. And like 5 years old, but that only adds to its, uh, charm. Plus it has the best sound of any game, ever. Maybe. Last edited by Wart; July 16th, 2004 at 03:20 PM. YOU CAN'T HANDLE IT BILLY! IT'S TOO REAL FOR YOU!!! I think the sega saturn was an underrated console. Ikaruga is definatly an under-rated classic. Rez is a favorite as well. I forgot to add Wario Ware. The GC version is insanely fun to play with friends. Sammy: Yes... a lot of those games are great! My most under-rated game runner up! One of the best stories in a game to date. Plus... those BlackIsle people were just so damn good at characters. My most under-rated (or really bought since it got so many awards)? Just look at this beautiful art direction! You can go back if you want to read the entire thing. Last edited by wassermelone; July 16th, 2004 at 05:28 AM. Shame on all of you for not mentioning System Shock which is my favorate game of all time (I have played more Quake 3 than any other game though ). That game for me gave birth to the whole halflife, desux x genre has one of the best plots in any game. It is surprising that people are picking new games. What about games like dune 2. Even at the time the reviews gave that game 80% dispite it being the best strategy game out at that time and to an extent!!!! gave birth to the whole rts genre. You could mention almost any game by Looking Glass. Every game thouse guys produced that I have played has been brillient and sorely underrated.